Is anyone here counting down to the Hunger Games: Mocking Jay part 2? Anyone live with someone who is? I’m the Hunger Games fan n my house, and there’s only one month to go. In anticipation of the final movie’s release, the Studio Movie Grill is taking a bite out of real hunger. 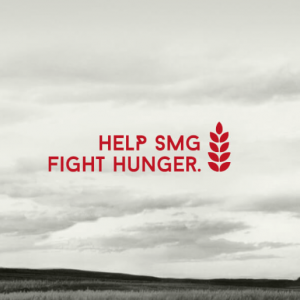 Next week, from Monday, October 19 – Thursday, October 22, all 23 Studio Movie Grill locations will host $5 movies (what a steal) AND all tickets proceeds will benefit local food banks. If you’re on Fall Break next week, make a plan to go see a movie- it’s for a great cause! Locally, proceeds will go to Gleaners Food Bank. In addition, Studio Movie Grill will donate 10% of all Hunger Games themed gift cards sold between October 23rd and November 25. Does your family traditionally see a movie over Thanksgiving? Buy a gift card after October 23rd and surprise the Hunger Games fans in your life! Chances are, if you’ve never been to Studio Movie Grill, you’ll want to go again and again. So, I am giving away a set of tickets to use anytime! To enter, tell me one movie you’re looking forward to in the next few months. Giveaway will run til about 9pm Monday evening, the winner will have 24 hours to respond or a new winner will be chosen. Last year at this time, I was hella-sick. A nasty, nasty case of pneumonia sidelined me for weeks, and I really wasn’t myself until well after the holidays. During that time, I was hyper aware that I wasn’t quite well enough to get a flu shot, but that the minute I was well enough, I needed one. I never wanted to get that sick again, and if a quick shot would do the trick, sign me up. I’ll admit it- I never made getting a flu shot a priority until last fall. Now, getting the family vaccinated is on our Fall Break to-do list (hooray!). Why are we getting vaccinated? l and gymnastics and Scouts and church and life…we have no time to be sick. I only need to be vaccinated once – MYTH! TRUTH- You need to be vaccinated every year, because each vaccine is formulated with the strains of flu expected to wreak havoc. 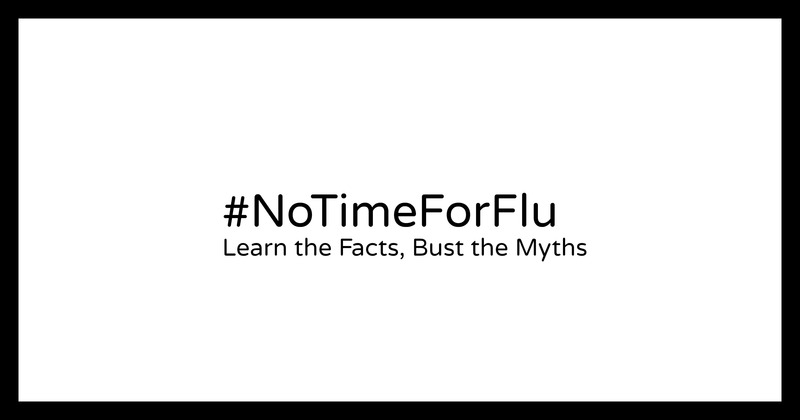 I can get sick from the flu vaccine- MYTH! out there, you can’t get the flu from the flu vaccine. You just can’t- the contents of the vaccine included dead viruses, which can’t infect you. It’s too early to be thinking about the flu- it’s only fall, y’all- MYTH! When I was knocked on my rear last September, they did a flu test. The doc said they were already seeing a lot of positive flu tests….in late September. As soon as the vaccines are available, it’s time to get vaccinated. Ready to get your flu shot? Visit the Minute Clinic inside your local CVS pharmacy – they vaccinated patients ages 18 months and over at most locations (call yours to confirm they have the dose you need). Are you ready to learn more? To learn more about the flu, how to keep yourself healthy, and what to do if you do get sick visit www.cdc.gov/flu and MinuteClinic’s vaccination offerings at: http://bit.ly/ZQZVDn. Disclosure: Thanks to MinuteClinic for sponsoring today’s discussion. All opinions are expressly my own. Actually, if you suffer from weed allergies, you know it’s the season. The sneezing, the itchy eyes, and the nasal drip give s it away. Ragweed season runs from mid-August through mid-October, so we are coming into the home stretch (well, we’re half-way there, and I’m an optimist). If you’ve been suffering from what you thought was a cold since Labor Day (with no fever), there’s a good chance it’s actually allergies. 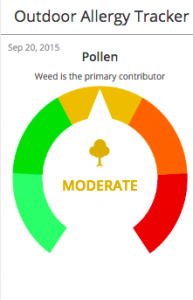 I recently learned that ragweed in the US is growing stronger, and it’s growing season is lengthening in the US. A member of the daisy family (I had no idea! Daisies are one of my favorite flowers, and so unassuming.) It’s estimated that a single ragweed plant can produce 1 billion grains of pollen in one season. IT CANNOT BE AVOIDED, FRIENDS! The Fox and I have been dosing up on our allergy meds since the first day of school. CVS carries a full line of name brand and store brand allergy medications. The Fox is good with an OTC product. Since having pneumonia, I need a prescription medication as well as an OTC one. It’s a duo that’s currently working well for me, and I’m so glad! If you’re wondering if that cold that’s been hanging on since the swimming pools were open, swing by your local CVS Minute Clinic and see if it’s really a cold. Their staff can help you determine how to treat whatever is ailing you. It can be tricky this time of year, because not only is it allergy season, it’s also the beginning of flu season. If your symptoms have come on quickly, and you have a fever, it could very well be a bad cold or the flu. Meds help, but I’ve also instituted my “allergy season” cleaning routines. I’m washing pillow cases and towels, washing hair, and vacuuming/sweeping on the regular. This time of year I can’t resist opening the windows, but I don’t do so between the hours of 10am – 4pm, when ragweed flies around the most. A good rain always calms things down, so I like to enjoy the outdoors after a good rain (like yesterday). Dust mites are also a likely culprit in the fall, so I’ll be changing our furnace filter and vacuuming the vents as well. I look forward to the first hard frost more than your average person- until then, we’re thankful for CVS for keeping us healthy. Disclosure: Thanks to CVS MinuteClinic for sponsoring today’s discussion, and for stocking everything we need to survive this season!